For groups too big to fit in the smaller 18 passenger bus, the 20 passenger minibus is the perfect transportation option for shuttling people in and around town. With plenty of space to spread out and store luggage, passengers will ride in complete comfort from beginning to end. 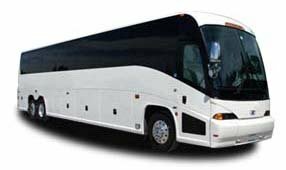 No matter if you need a shuttle for a corporate event, wedding, school event, sports team, or more, Atlanta Charter Bus Company has got you covered. Our reservation specialists are available 24/7 at 404-474-7769​ to help you plan your Atlanta trip.